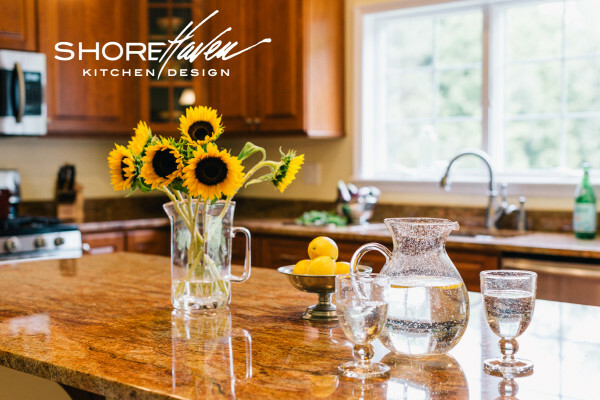 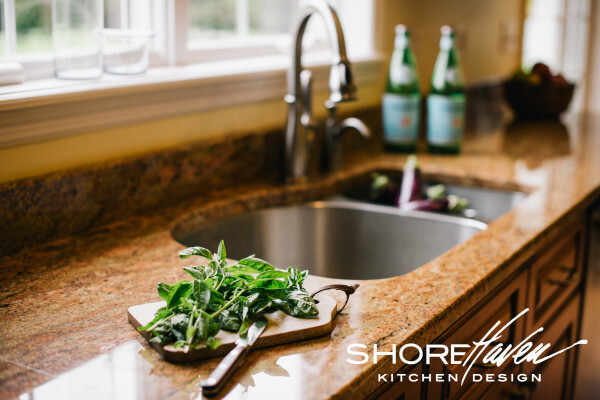 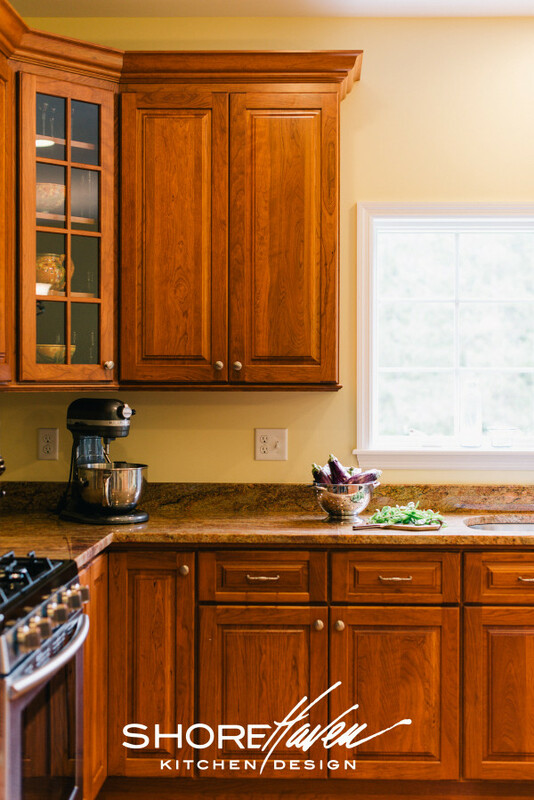 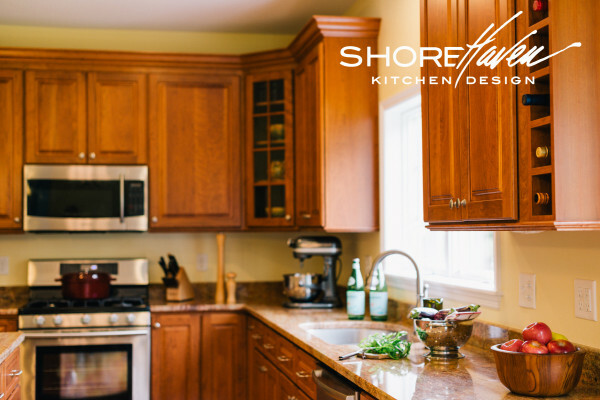 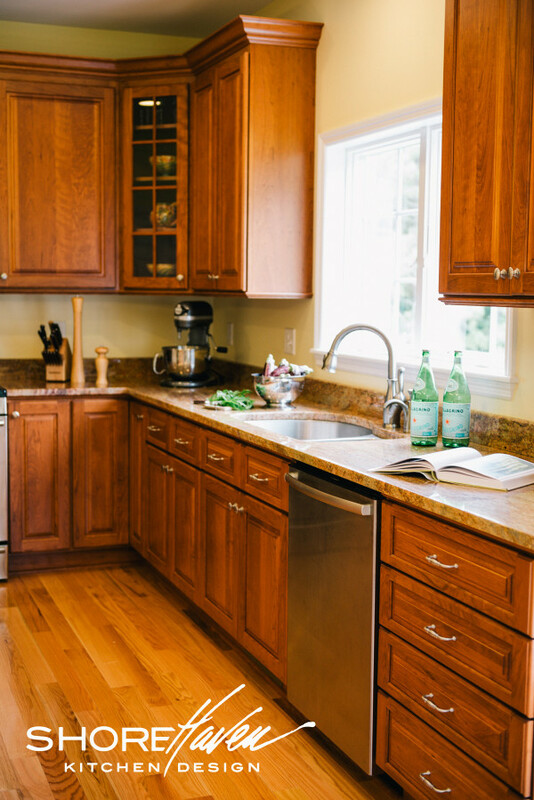 Cherry cabinetry with a Honeytone sheen create a sunny, inviting place. 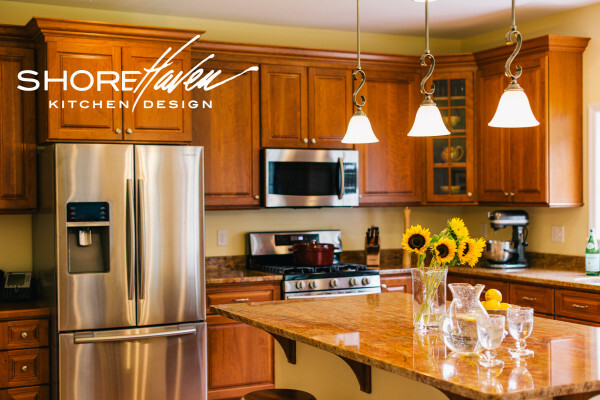 Entertain friends, have breakfast with the kids, or host the neighborhood potluck, in this warm and comfortable kitchen. 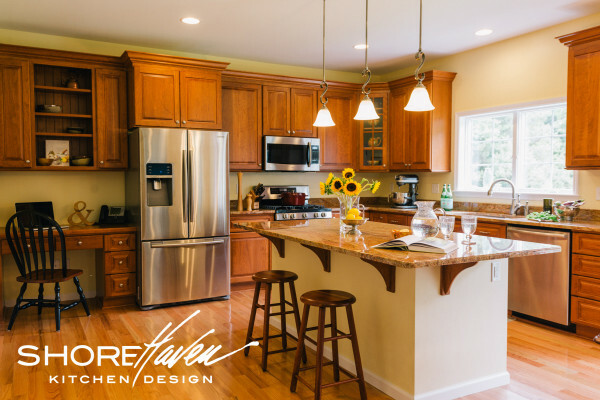 Queensbury, New York home built by Hilltop Construction Co.